Ashley Greene is an American actress who is best known for her role as Alice Cullen in the film adaptation of Twilight. At first, Ashley really wanted to be a model; but that was until she learned to love acting. Ashley appeared in various television shows such as Punk'd and Crossing Jordan. However, her fame ultimately sky-rocketed when she played Alice in the 2008 movie, Twilight. 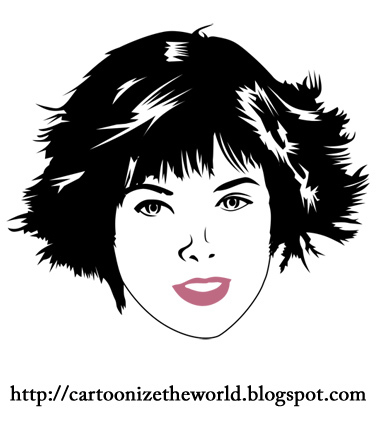 Alice Cullen, you've been cartoonized. Yay! GO ALICE! That seriously looks just like her! I don't really like the lips, but overall, it was really really good! wow is the way to describe her but since you did all the main characters of twilight you should totally do the cast of high school musical 3 especially zac efron and vanessa hudgens ! YAY!!!! !I check this site everyday in hopes that there would be an update and now there is. YAY!!! wat happen to new cartoons on mondays?! WHERE THE HELL R THE NEW CARTOONS AT????!!!!!!!!!!!!!! !